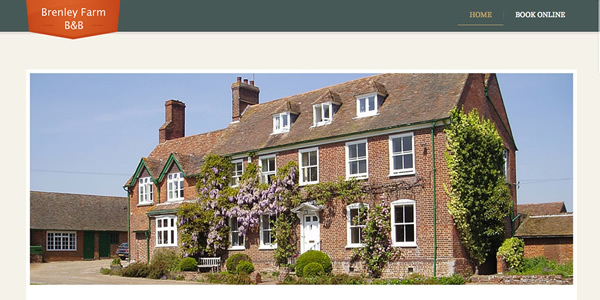 Brenley Farm is located in a beautiful area of Kent just outside of Faversham. 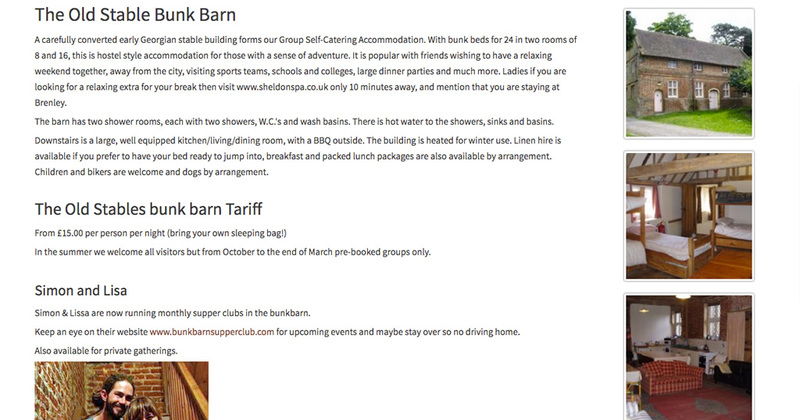 They offer bed and breakfast in their historic farm house, wedding receptions in their vast grounds and for groups, there’s a bunk barn for BBQs and shared accommodation. The family-run farm is a traditional in many senses - they still grow hops, vineyard apples and pears. As an unusual twist, the farm also offers a B&B for horses for those wishing to stay over night with their equestrienne friends. Children are catered for with large grounds to explore and climbing frames near the house. Brenley’s new web site has a number of updates compared to their old one. The new site is mobile friendly and works perfectly on mobile phones, tablets and desktop computers. 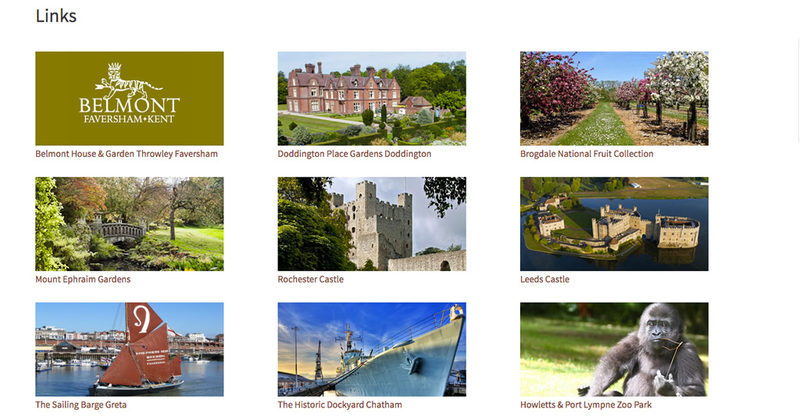 The new ’Links’ page features larger images which link through to local attractions and restaurants, giving guests a chance to plan their visit in advance. 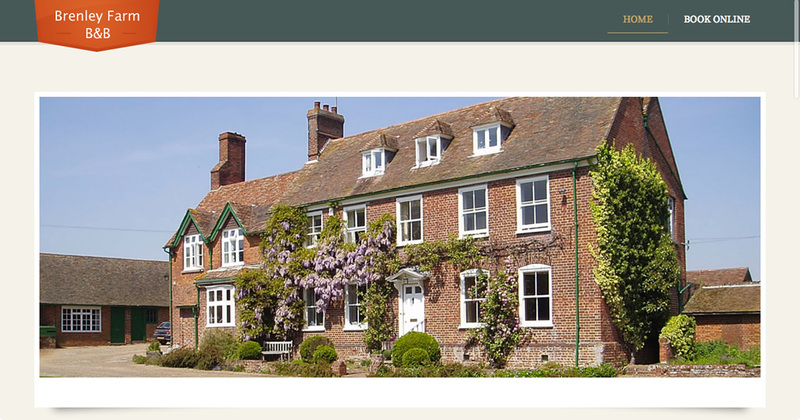 If you are in the Kent area, we highly recommend a visit to Brenley Farm - why not take a look for yourself? Our gallery below shows some screenshots of the new site and one of the old web site. 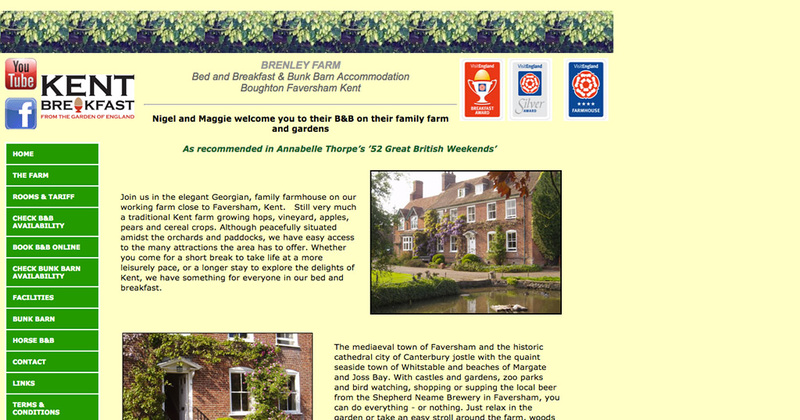 Take a look and if you would like to see the new site in action, you can visit Brenley Farm here.